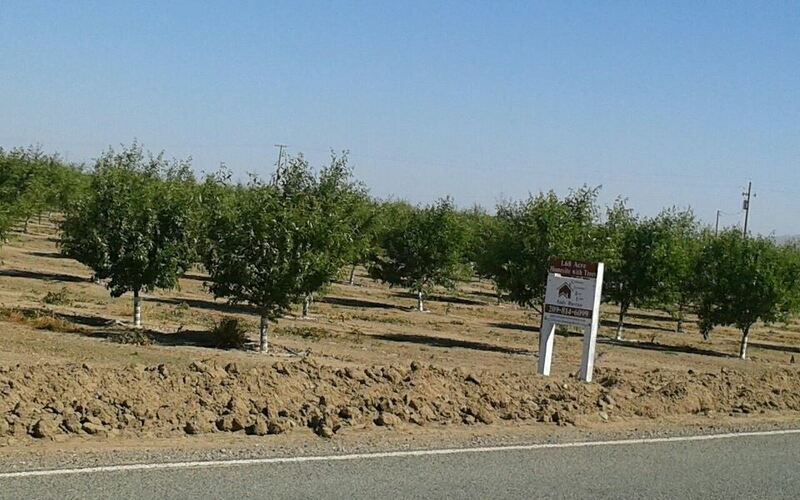 Agricultural land – 1.68 +/- acres currently in 2 year old almonds with micro drip irrigation. Irrigation by agreement with Seller. No irrigation rights convey with property. Well will have to be drilled. Directions: South on Chrisman Rd. To Hwy 132. East to Koster Rd. and South 1.4 miles to property. Property is on the East side of the road. Listed by Andy Rustan, California Advantage Real Estate, for $425,000, MLS #13011749. To learn more about this property, contact us or call us at (209) 836-3300. This entry was posted in Tracy CA Land for Sale, Tracy CA Real Estate and tagged almond orchard, tracy ca agricultural land, tracy ca land for sale, tracy ca real estate on April 25, 2013 by betsycares.